Owning a home or condominium presents you with a seemingly endless list of maintenance, repair and remodeling projects. When you lack the time or the skill to tackle a project, there is a local home services company that can do it for you. 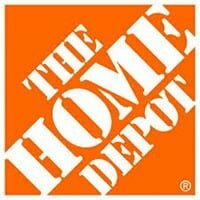 Familiar names in the home improvement and appliance business, such as Home Depot, Sears and Lowes, now compete with Angie’s List and Home Advisor with home services divisions. There are even government subsidized programs available in some states under which low-income people who are blind, disabled or elderly can obtain in-home services. The assortment of home services providers available to consumers can be confusing. An overview of the types of services offered and the providers from which consumers can choose can be helpful in eliminating some of the confusion. The definition of home services is much broader now than it was more than 20 years ago when Angie’s List started offering people a place to find a contractor and read customer reviews of the type and quality of work performed by the business. Today, home services include almost everything a homeowner could need from pet sitters or someone to hang a mirror to a general contractor to oversee the construction of an addition onto a home. Plumbing, electrical and appliance repairs and installations are popular home services categories along with carpet and rug cleaning, landscaping, and pretty much any type of repair or maintenance service a person might need. 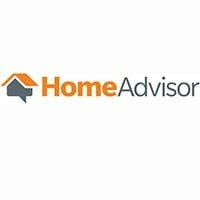 Home services companies, such as Home Advisor, Amazon Home Services, Lowes Home Services, Home Depot Service, Sears Home Services and Angie’s List, give consumers the opportunity to compare service providers according to quality of services, price and performance. People also know the company they hire is licensed and insured for the type of work being offered. Which Home Service Provider Is Best For You? Which home services provider you choose depends on what is important to you. For some people, getting the lowest price is the most important criteria while others might place a premium on quality and workmanship as reflected in customer reviews and ratings. Most of the companies offering home services offer some form of warranty on the services offered by the contractor chosen by a consumer. Lowes Home Services, for example, offers a one-year warranty on labor on jobs completed by their installers. This is similar to the warranty offered by Home Depot Service. 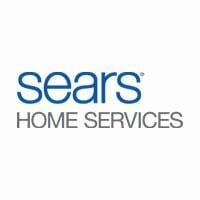 Sears Home Services agrees to provide a follow-up service call for any repair or installation that did not resolve the problem or was not performed correctly during the initial visit. Angie’s List, Home Advisor and Amazon Home Services each offer consumers the ability to connect with local service providers after reading what other people have to say about them, they do not have brick-and-mortar locations where people can go to see the products or merchandise. For example, a homeowner in the market to remodel a kitchen can go to Home Depot or Lowes to actually see cabinets and countertop options on display. This is also true for floor and wall tiles, carpeting, bathroom and kitchen fixtures, and other products. Some consumers might prefer seeing what their kitchen or other home remodeling project will look like before scheduling the contractor to install it. A home services provider connected to a national retail chain might be the answer for them. Low-income individuals who are elderly or disabled might be eligible for in home supportive services. These programs are available in some states and offer housecleaning, meal preparation, grocery shopping, and personal health care and homecare services subsidized by the state. Individuals who believe they or a family member might be eligible should contact their state’s department of social services to find out if an in home supportive services program is available in their community. Consumers in the market for home services can find almost any type of service they might need through Angie’s List, Home Advisor and Amazon Home Services. Some of the options include appliance repair, kitchen remodeling, landscaping, tree services, window cleaning and much, much more. The contractors and service providers available through these websites are independent businesses. Sears, on the other hand, uses its own technicians to perform repair and installation services through Sears Home Services. Consumers deal with Sears directly to schedule services rather than work directly through the actual installer or technician. 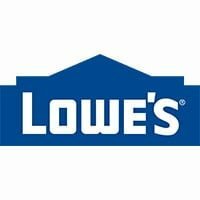 Lowes Home Services and Home Depot Service offer a range of services linked to the products and services offered in their stores. Depending upon the type of project, services could include a simple installation or a home remodeling project. They also offer design services, financing for larger projects and project management. Some of the other services offered by home services companies include flooring, ceiling fans and light fixtures, storm doors and exterior entry doors, blinds and shades, shutters and storm windows. Maintenance services include interior and exterior painting, water heaters, HVAC installations, sink and faucet replacement, and garage door repairs and installation.